A popular band which lost its popular singer, Delia Glaister. Now rated as leading exponents of classic style jazz of the 1920's. The Quayside Hot Stompers are a group of musicians dedicated to presenting the classic jazz, ragtime and blues compositions of that era as typified by the bands of Joe 0liver, Louis Armstrong, Jelly Roll Morton, Duke Ellington and many of the smaller groups which featured musicians from such better known ensembles. The band is named after St. George's Quay, Lancaster, where a duo of Alan Duckles (Cornet/Vocals) and Tom Culbert (Piano) were booked to play. One evening Alan's wife, Geraldine (Banjo) and Barrie Marshall (Clarinet) sat in, and made such a good impression, that they were immediately hired by an enthusiastic landlord to make up a four piece band. A few weeks later Matthew Woodhouse (Tuba/Trombone), joined to complete the Quayside line-up, this all happening in Summer 1992. In 1994 the band members were delighted when vocalist Delia Glaister joined to give the band a new dimension with her renditions of the songs of Bessie Smith and her contemporaries. The Quayside Hot Stompers is led by pianist Tom Culbert who cut his jazz teeth on the London scene in the 1960s with Brian Green, George `Kid' Tidiman's New Era Jazz Band, The Pasadena Roof Orchestra, and the Original Eastside Stompers. 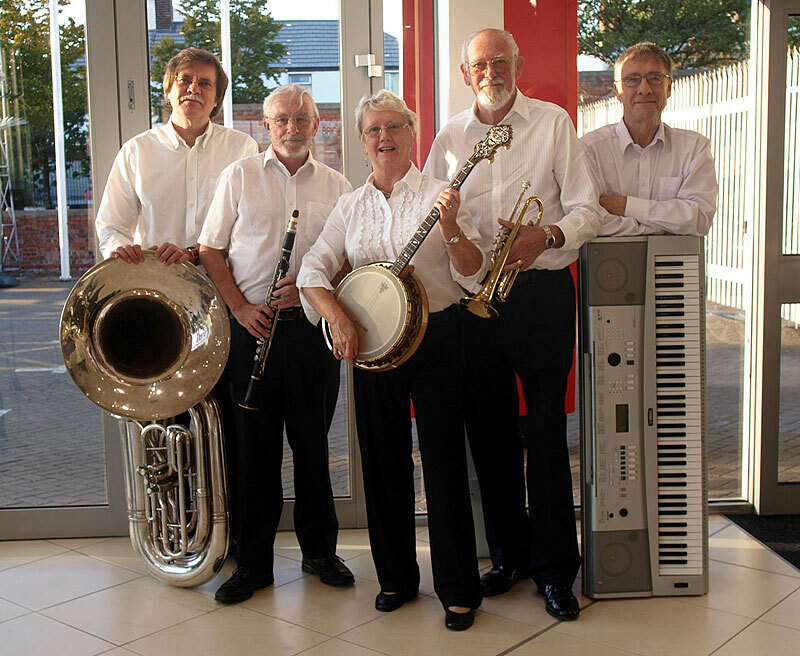 Alan Duckles, Barrie Marshall and Delia Glaister are also members of the well-established New Riverside Jazz Band which has done much to promote traditional jazz in Lancaster and the Lake District for many years. Geraldine Duckles took up the banjo in relatively recent years; she gives a solid foundation to the rhythm section. Matthew Woodhouse was formerly a professional trombonist in South Africa under the name Keith Woodhouse. The band has been heard all over the UK from Cornwall to Edinburgh. It has frequently broadcast on Manchester Jazz FM as well as in Wales, Australia and the USA. 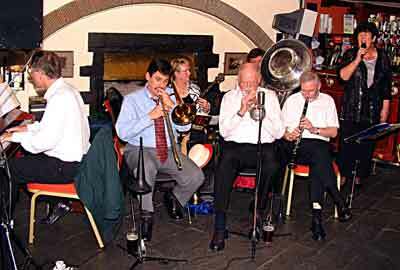 The Quayside Hot Stompers can be heard playing at the Wagon & Horses, Bent Lane, Leyland on the third Tuesday of every month. Colin Turner (Tuba) has now joined the band and plays most of the gigs with them instead of Matthew. Click the play button to hear the band play "Lovin"